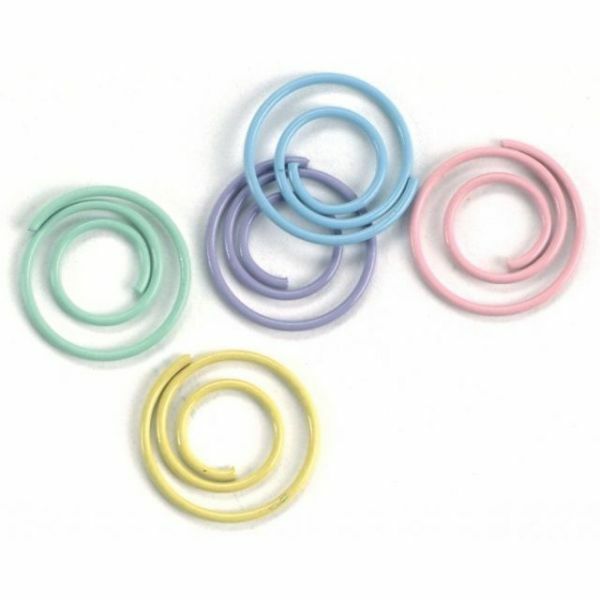 Mini Painted Metal Spiral Clips .5" 25/Pkg - CREATIVE IMPRESSIONS-Mini Metal Painted Spiral Clips: Pastel. This package contains twenty-five mini spiral clips in fun pastel colors to enhance your paper craft projects. Each clip is approximately 1/2in in diameter. Imported.